What’s in a name? 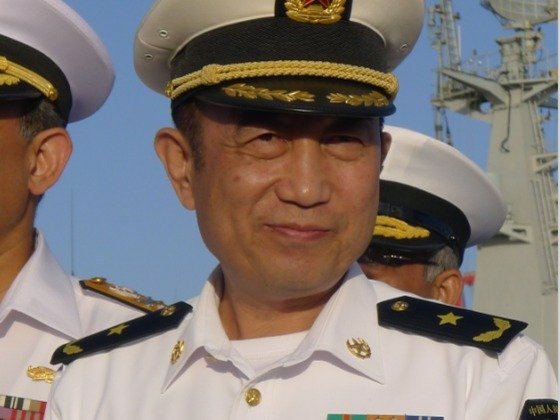 An entire sea, says Chinese Vice Admiral Yuan Yubai. On Sept. 14, at a defense conference in London, Yuan said that “the South China Sea, as the name indicates, is a sea area that belongs to China,” according to defense media. The commander of the Chinese navy’s North Sea fleet added that the vast waterway has been Chinese from the time of the Han dynasty, which ruled from 206 B.C. to A.D. 220. China claims nearly all of the South China Sea’s rocks, shoals, reefs and islets as its own, carving out the waterway with a so-called Nine Dash Line that extends southward toward Borneo to include 2 million sq km of sea. However, five other governments — those of Taiwan, Vietnam, Malaysia, Brunei and the Philippines — are also vying for ownership of various bits of sand and rock in the resource-rich waters. Maritime clashes over these shoals and reefs have, over the decades, claimed dozens of lives. WNU Editor: I guess this means that the English Channel belongs to England. Indian Ocean to India. Gulf of Mexico to Mexico. etc. Hmmmm .... I suspect that this Chinese admiral got his position because of connections .... not because he is smart. United States of America responds by claiming entire Western Hemisphere is ours, because North America and South America have got America in the name! Now I understand the proliferation of Chinese buffet restaurants in the US! I foresee a great conflict, the taco truck/chinese buffet restaurant war of 2019.